What is the difference between air duct cleaning and air system cleaning? Full service air system cleaning not only includes cleaning out your air ducts, but should also include cleaning your furnace/air handler. This is the heart of the air system and should be cleaned as well. 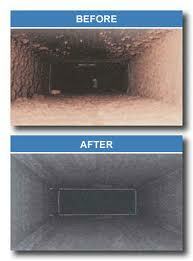 Air duct cleaning includes only the cleaning of your air ducts, not your furnace or air handler. There are 2 main reasons you might need to only clean your air ducts. (1) Your air handler has been recently replaced or has already recently been cleaned by a service company. (2) The customer chooses not to clean the air handler after understanding the full benefits of air system cleaning. Why should I hire an Air Duct Cleaner in Latham, NY? There are two main reasons you should have your Latham air system cleaned. First, you and your family (or employees) will be breathing cleaner air. Is there anything more important than the health of your loved ones and employees? Secondly, having a clean air system saves money on your energy bill. A clean air system runs more efficiently, and reduces costs for heating and cooling your home. Have you noticed a buildup of dust in your home or building lately? 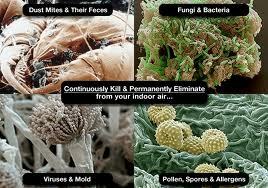 Does anyone in your home or building have breathing problems, allergies, or respiratory illnesses? Do you have pets living inside your home? Total Service Pro – The Company You Can Trust in the Capital District. 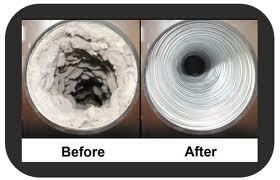 Still Think You Don’t Need Dryer Vent Cleaning in Latham, NY? Such exhaust fans are located all throughout the house in places such as bathrooms, kitchens and laundry rooms. If you have not had your exhaust fans cleaned lately, get in touch with Total Service Pro so you can help prevent the danger of fire to your home in Latham. To provide the highest quality, most reliable service in the industry to help our customers achieve better indoor air quality and to assist them in taking a proactive approach to their air system maintenance, thereby reducing the need for costly repairs and maintaining high employee productivity.